Just the name alone is what draws so many people to check out City of Heroes. Who doesn’t want to be a hero and what better way to do it that in an MMO game where you can hang out with other heroes? Let’s take a closer look at the game while I offer a play by play review. Here you will get an honest review of the great, the good, the decent and the bad. This is a no holds barred review. 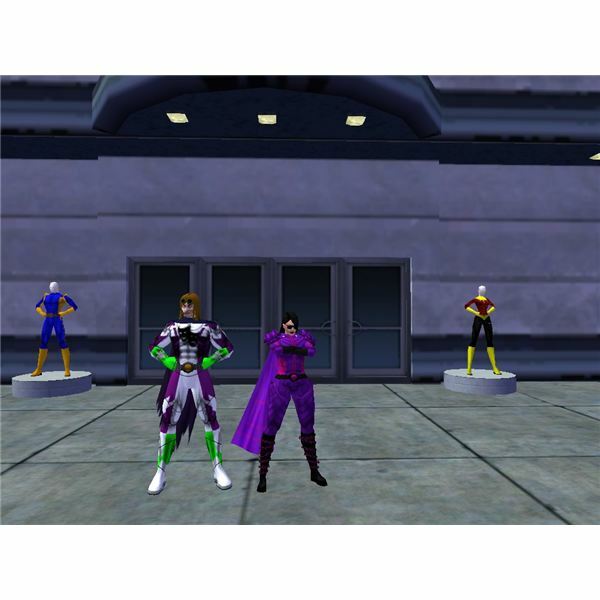 When you first log in to City of Heroes you will be able to create your very own personalized character. You can choose from male or female along with choose the body type of your character. Customizing your character even goes as far as to customize their facial features, height and much more. I have to say this is one of my favorite parts of the game. You can choose your character’s hair style, hair color, clothing and for some classes you can even customize their weapons. One thing City of Heroes has really done is they have made sure that your hero is personally your very own. Once you have customized your character you will then choose a name and then you are ready to enter Paragon. When you go to enter Paragon City you have the choice of doing the tutorial or hitting the streets right away. For those who have not played City of Heroes before, I do suggest doing the tutorial at least once. While the keys that are used are the basic keys that most MMO’s use the tutorial will answer many questions that will spring up later in the game. You might not want to do the trial every time because it can become quite redundant but do note that if you kill 100 villains in the trial you will earn a badge. Once you have completed the tutorial you will be dropped on the stairs of Atlas City. You will first need to head to Miss. Liberty to train up to level two which you achieved within the tutorial. You can then either hit the streets on your own or join a team. City of Heroes is a great MMO if you really enjoy the teaming aspect. It is very simple to join or make a team no matter what class you have chosen. Leveling up in City of Heroes follows the same similar set up as most MMO’s. You do missions, you can XP and you level up. At each even level you will gain powers and at each odd level you will gain slots for those powers. These slots are use to add enhancements to your powers such as range, accuracy, power and much more. There is not cost of influence, which is in game money, to get your powers like so many other MMO’s but the enhancements do cost your character influence. There are several ways to receive enhancements. You can purchase them, they are dropped by the villains that you kill or you can create them. Creating them is something that many players have really taken to since the created enhancements are much more powerful than the once that are dropped or purchased. This new system of creating enhancements is done by finding the materials which are either dropped by the villains or purchased at the auction house. Now that you have heard all the fun things that can be done in City of Heroes let me tell you from my point of view the bad parts of the game. City of Heroes was the very first MMO I have ever played and I have a soft spot for the game. The worst part of the game is the fact that the missions at no matter what level you are all seem to be the same. There are only so many Trolls, Council and Circle of Thorns that you can fight before every building starts to look the same and every cave appears to have the same floor plan. While gaining levels and getting new powers is exciting the missions can become quite boring and very predictable. Sadly this is the complaint that many MMO players have with City of Heroes and it is also a large reason why so many people stop playing once you get to a certain level. There seems to be a lot of potential for City of Heroes to be a really amazing game but it is at this point that they really miss the mark and for some gamers it is the breaking point. Overall City of Heroes is a great game that has many great aspects to it. The customization abilities that they offer is one thing that really sets them apart from a lot of other MMO’s. Teaming is easy and for the most part you will find that other players are super helpful and friendly. The lacking of new missions is a real bummer but if you are ok with doing these missions many times at many levels then this might be the game for you. You can take City of Heroes for a test run by visiting their website and downloading their free 14 day trial. If you choose to continue to play there is a monthly fee of $14.99 just like many other MMO’s out there. Give it a try, who knows you might really love the idea of tight spandex and fighting villains for the good of Paragon City while playing City of Heroes.